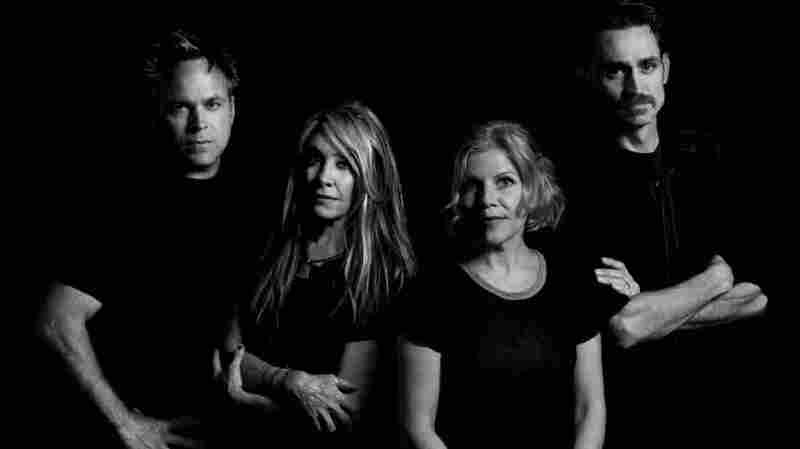 Belly's 'Dove' Refines A Lifetime Of Change Tanya Donelly's beloved alt-rock band is back after 23 years. Belly's Dove comes out May 4. In other words, Donelly's not one to reunite for a paycheck — and it shows in Dove, which doesn't so much pick up where Belly left off as refine the band's sound to reflect half a lifetime's worth of change. Belly remains best known for its 1993 hit "Feed the Tree," but Dove doesn't endeavor to re-create that song's chiming lilt. Donelly's voice remains lovely — it's gotten a bit richer with age, at times conjuring Neko Case vibes — and songs like "Shiny One" capture the shimmery swirl the band long ago mastered. But this material feels more knowing and lived-in. Take "Suffer the Fools," in which Donelly assesses a relationship that's drifted apart and curdled with age — just not enough to reach a breaking point. There's coy affection in the way she offers to bring her partner "that terrible wine you love," but the song also acknowledges the way complacency, comfort and fear can compel us to redefine happiness as mediocrity we can tolerate. Belly could have followed in the footsteps of, say, My Bloody Valentine and pretended that 20-plus years hadn't passed between albums. But Dove looks at the past only as a pathway to the present — at the sum of lives that have never stopped being lived, whether or not Belly was around to chronicle them.